Today, Jeremy Harrison, MLA for Meadow Lake, and candidate for the leadership of the Saskatchewan Party, promised to roll back the charging of PST to insurance products recently announced as a part of Budget 2017. Harrison said that there have been few issues on which he had received as much feedback from the public. Much of that feedback requested that the government reconsider the decision. Harrison also noted that the policy has particularly impacted agricultural producers. 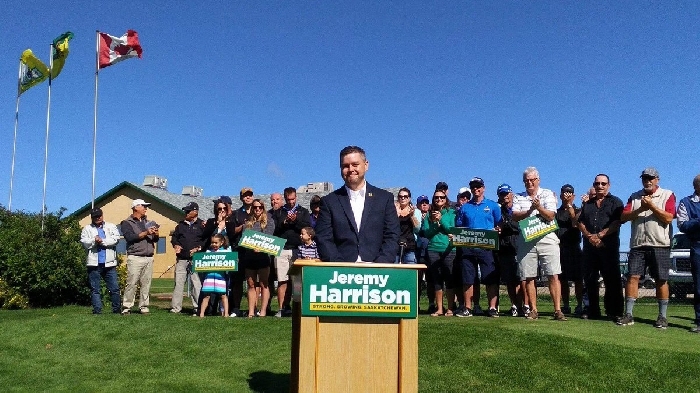 Harrison acknowledged his initial support for the measure as a member of the Cabinet, but said he had reconsidered based on feedback received from those impacted. He also underscored his continuing commitment to returning to balance within 3 years and will be putting forward a fully costed plan. Harrison laid out his Ten Point Plan to bring greater transparency and accountability to Saskatchewan government and politics, including his commitment to modernize the provincial Members’ Conflict of Interest Act, Freedom of Information and Protection of Privacy Act, Lobbyists Act, and to enhance other public disclosure rules, many of which currently lag behind those found in other provinces. Harrison also announced his policy proposal to divest the Global Transportation Hub (GTH), as soon as feasibly possible, as well as to end the government’s involvement in commercial land development, permanently.